First, congratulations to the Arizona Diamondbacks for winning the National League West title. I hope you continue to outperform the competition -- and your web site. 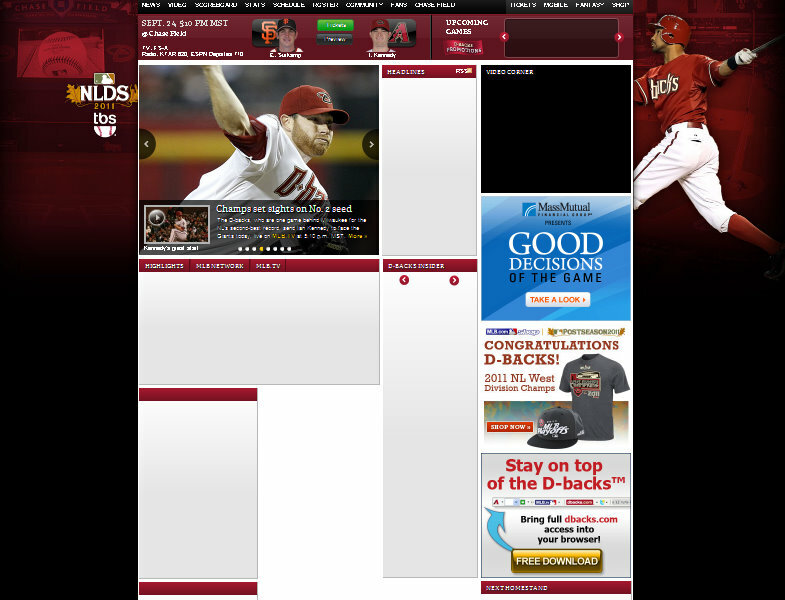 I visited DBacks.com to see if any tickets remained for Saturday night's game. However, repeated loads of the web site in a variety of browsers gave me the following. Most of the content was missing. And to make it worse, clicking the Tickets button at the top of the page did nothing. After nearly 10 minutes of reloading the page, a full and functional page loaded. Sadly, the few remaining tickets were more than I was willing to pay. It would have been fun to watch the Diamondbacks put away the defending World Series Champion Giants in a game Giants manager Bruce Bochy described as "just a very ugly game".